When we commissioned Daniel Huxtable to design the EntreAssess logo we recognised his talents but had no idea that he would later feature in the Welsh Government’s Economic plan, launched in December 2017! Daniel is showcased as an inspirational role model and exemplar of someone taking forward a business whilst studying at University. He is now in his third year of studying graphic design at the University of Wales Trinity Saint David and has combined his passion for martial arts with a love of graphic design to launch his bespoke fight-wear apparel business. 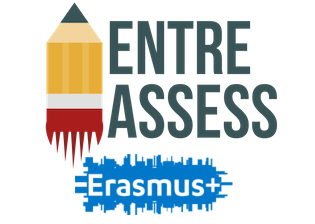 When responding to the brief for the EntreAssess logo, Daniel was quick to identify with the aims of the project as he highlighted that meaningful assessment of entrepreneurial skills during his schooling and university studies have been integral to his personal development. Daniel was diagnosed with severe dyslexia at the age of 6 and it is the support of his art teacher and, in particular, the way in which his creativity was recognised and assessed that positively influenced his skills development and self-efficacy. We congratulate Daniel on his achievements and welcome his association with us as yet another exemplar reinforcing the need for meaningful assessment tools for developing entrepreneurial capacity. Read more about the Welsh Government’s Economic Action Plan here.